This is a preview of the upcoming calendar. 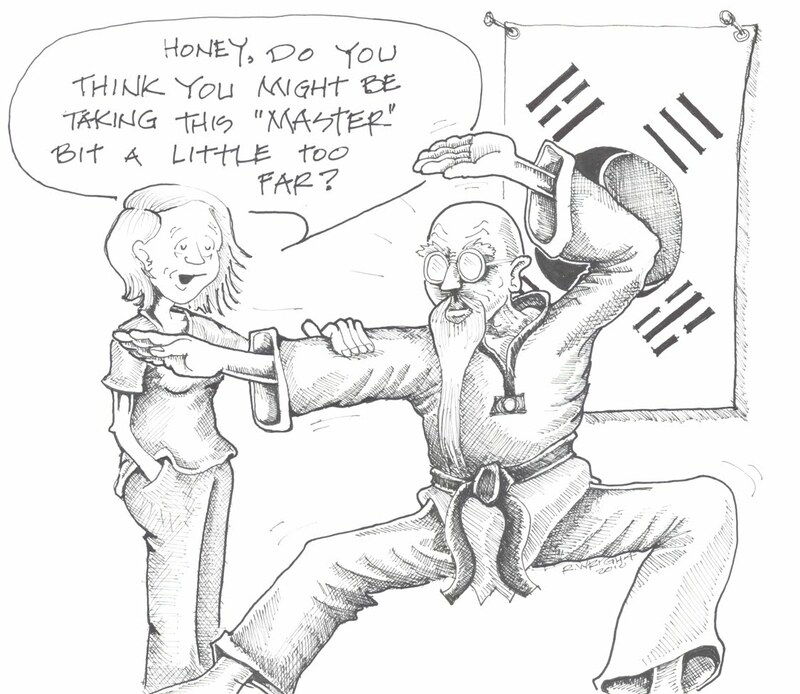 It is also the drawing that I submitted with my essay about becoming a 4th degree black belt. 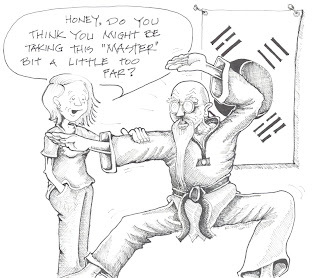 My poor honey has been sooooooo tolerant with me playing "master tae kwon do" for the last nine years!! By the way...the test went well! Rick, These are Hilarious!! I love Dave!